American Sourced: Where Is the Best Bottled Water in the World? There’s a common misperception that bottled water imported from other countries is superior to U.S.-sourced water. Water imported from Fiji, France, Italy, and Norway is perceived to be more exotic, more pure, and better-tasting. What many people don’t know is that the best-tasting water in the world comes from right here in America. Castle Rock Water is born high in the glaciers of Mt. 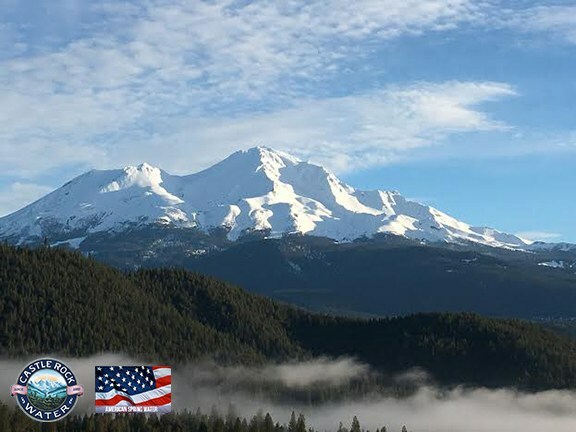 Shasta in Northern California and won the gold medal at the Berkeley Springs International Water Tasting Competition, which names the best-tasting water in the world. Our blog series explores the importance of where your water comes from, large corporate bottlers versus small family owned bottlers, imported water, the social and environmental responsibilities of water bottlers, and how Castle Rock Water stands out in the mass of bottlers. Feel free to leave comments and let us know your thoughts. American Sourced, Part 1: Where Does Your Water Come From?